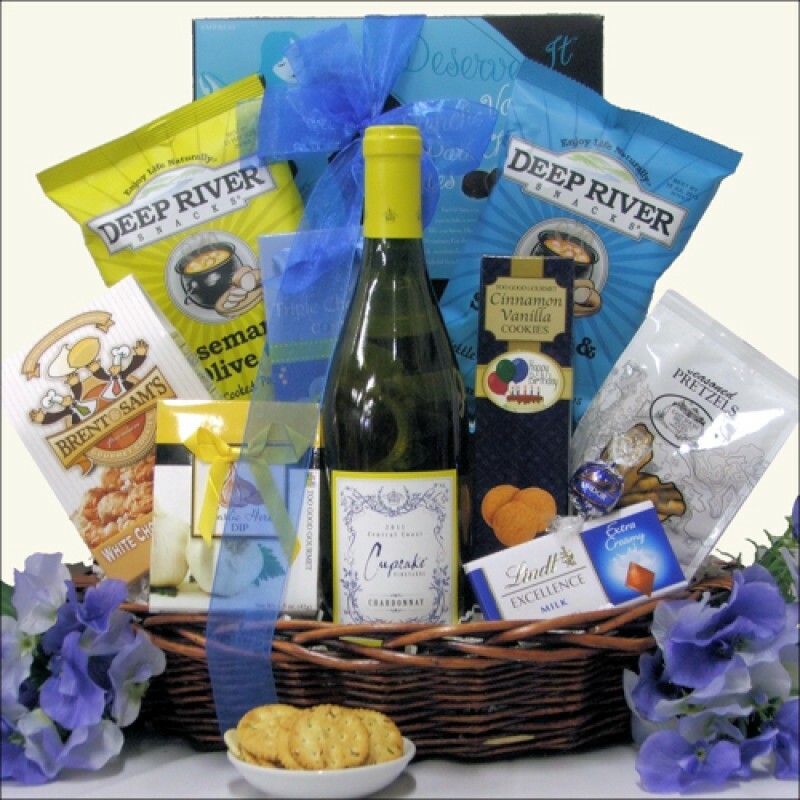 Help them celebrate their birthday this year with this delicious and fun 'Cupcake Vineyards' wine gift basket. Choose from either the delicious, smooth and rich Cupcake Chardonnay or the full, soft body and creamy Cupcake Red Velvet both from Cupcake Vineyards. In addition to these great wines, they'll also enjoy a nice assortment of chocolates, cookies and snacks including 'You Deserve It' French Vanilla Dark Chocolate Truffles and 'Happy Birthday' Shortbread cookies. The perfect way to let them know you are thinking of them on their special day. ...in an Oval Dark Stained Basket with Wooden Handles.